What would you do if someone gave enough money to quit your job for an entire year? Let's pretend some wealthy uncle randomly gave you an entire year's worth of your salary in a single check. Let's also pretend that the check came under the under the condition that you had to spend the year completing one major passion project that you otherwise wouldn't have time for. How would you spend your year? Would you record a music album? Start a small business? Launch a website? Harper Lee chose to write a book. Harper Lee was born on April 28, 1926 in Monroeville, Alabama. Her father Amasa Coleman Lee (A.C.) was a lawyer, newspaper editor and eventually a 12 year member of the Alabama House of Representatives. Early in his career as a lawyer, A.C. Lee defended two black men, father and son, who were accused of murdering a white storekeeper. A.C. lost the case and both men were hanged. Remnants of this event would eventually make their way into TKAM. After earning a degree in English Literature from Huntingdon College in Montgomery, Alabama, Harper Lee briefly attended law school at the University of Alabama but dropped out after two years to focus full time on writing. At the encouragement of her childhood best friend, Truman Capote, she soon began submitting stories to a literary agent in New York City named Maurice Crain. Crain encouraged the 30 year old to move to Manhattan to see what might develop. While staying in New York City, Harper lived with the famous Broadway lyricist Michael Brown and his ballet dancer wife Joy Williams who also were close friends of Truman Capote. In order to earn money in the big city before she was a full fledged author, Harper toiled away as an airline reservation receptionist. A job she despised. On Christmas morning in 1956, Harper found a small envelope under the tree with her name on it. Inside the envelop there was a note from Michael Brown and Joy Williams that said: "You have one year off from your job to write whatever you please. Merry Christmas." With this new found freedom and confidence, Harper began writing a collection of short stories about racism in her hometown of Monroeville. She submitted the stories to her agent Michael Crain and an editor at the publishing house J.B. Lippincott & Co. Both men convinced Harper that the stories should be developed into a full length novel. She spent two and a half years crafting what would eventually become "To Kill A Mockingbird". Once the book was finished, her editors at J.B. Lippincott warned Harper that TKAM probably wouldn't sell more than "a few thousand copies". "To Kill A Mockingbird" was published on July 11, 1960 under the original title "Atticus" (Harper changed the title soon after). The book was an instant success. Within a year, TKAM had been translated into 10 languages and the 35 year old first time author had won numerous literary awards including the Pulitzer Prize. 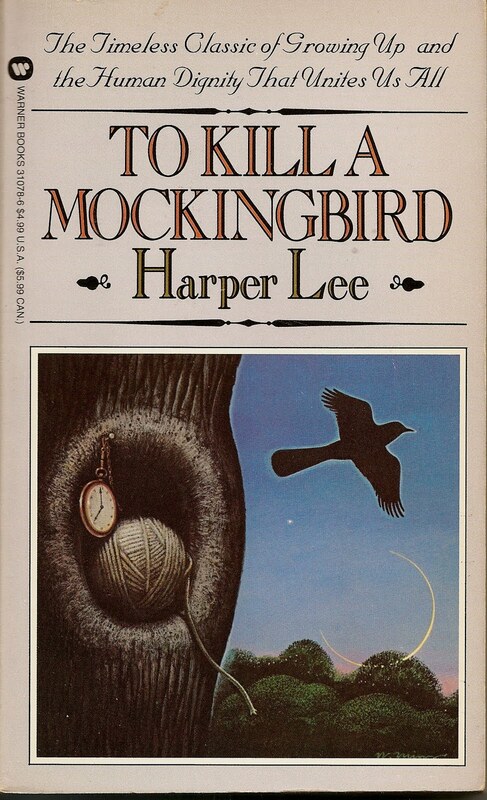 To date, TKAM has sold more than 40 million copies worldwide and has been reprinted in 40 languages. In 2006, an organization of British librarians ranked TKAM as the number one book every adult should read before they die. Coming in second place? The Bible. In 1962, a movie based on the book starring Gregory Peck and a young Robert Duvall was released. The movie went on to win three Academy Awards and three Golden Globes. The book has had such a profound cultural impact that over the decades it has become required reading in pretty much every high school in America. Unlike most books that would be extremely lucky to sell a few hundred thousand copies in their lifetime, more than 50 years later, TKAM sells between 750,000 and 1 million copies EVERY YEAR. 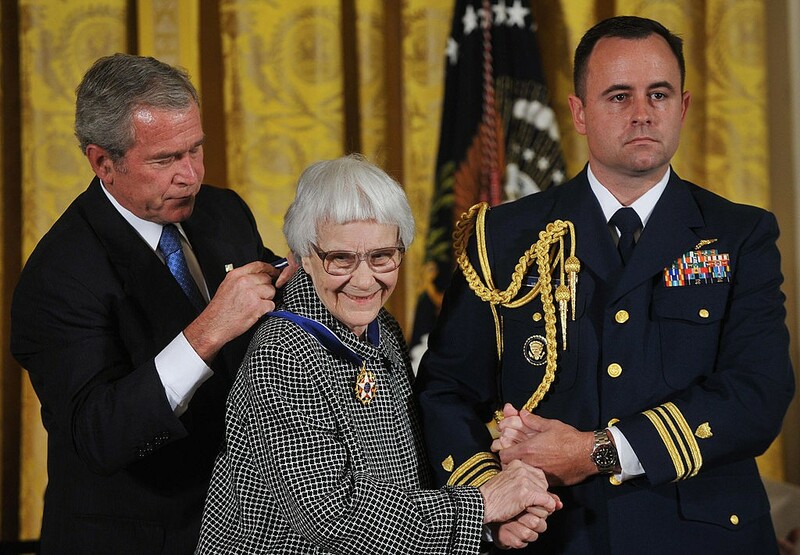 So how much money has this put into Harper Lee's pockets? Thanks to a rather messy legal ordeal involving a former agent who allegedly mishandled Harper's copyright and finances, we actually have some precise numbers. According to legal papers filed against former book agent Sam Pinkus, in the first six months of 2009 alone Harper Lee earned $1,688,064.68 in royalties. Assuming 2009 is an average year, that works out to $3,376,129.39 per year. That's $9,249 per day! That's 4.5 times what Sting earns in a day from "Every Breath You Take". Unfortunately, Harper has not found quite as much joy in her success as you might guess. Almost immediately after the book was first published in July 1960, Harper retreated into a life of Salinger-esque reclusivity. Overwhelmed by the personal attention and press received from TKAM, Harper stopped giving interviews about herself altogether in 1964 and has scarcely spoken publicly at all ever since. She made an extremely rare public appearance in 2007 when President George W. Bush awarded her the Presidential Medal of Freedom. Harper attempted to write two more books, one fiction, one non fiction, but stopped after finding herself unsatisfied with the work. Years later, when a friend once asked why she hadn't written another novel, Harper shockingly replied: "Because I wouldn't want to go through all the terrible publicity and the strain of what happened with Mockingbird for any amount of money!" Today, the 87 year old Harper Lee lives in an assisted living home in Monroeville. She is in poor health, with a very bad memory, near total blindness and very bad hearing. But as book sales continue to churn, her royalties are still stronger than ever. According to American copyright law, Harper's heirs will continue to earn royalties from the book even after she dies. As an example of what that could mean we can look at the estate of John Steinbeck. Steinbeck died in 1968, and according to a related lawsuit against Harper's former agent, his estate earned $45 million in royalties between 1994 and 2004 alone. Harper, who never married and has no children, will likely have an estate that will be equally as large or larger than Steinbeck's. At the very least her book is expected to earn nearly $4 million per year in royalties every year she is alive and the 70 years following her death. Not a bad little inheritance. Enough to make Sting's children's green with envy! ***Update! *** On February 3, 2015, Harper Lee announced that she will be releasing her first new book in over 50 years. 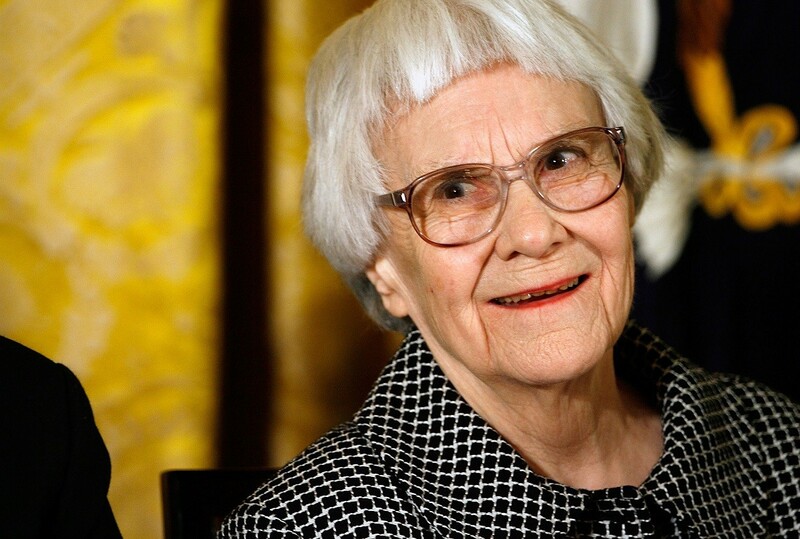 The new book, "Go Set A Watchman," will be a sequel to her 1960 classic "To Kill A Mockingbird."